Implementation of some transmission line systems requires coaxial transmission lines sections of length to deliver some specific characteristics. Examples are series transformation sections such as quarter wave series sections, wave traps such as shunt quarter wave o/c stubs etc. The physical length of a line section is not the same as its electrical length, and they are related by the Velocity Factor (VF) where VF=PhysicalLength/ElectricalLength. 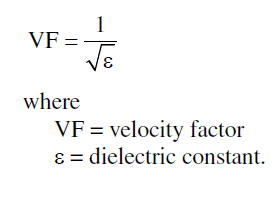 (Silver 2011) gives a definition above of Velocity Factor in terms of the dielectric constant. Readers could be forgiven for thinking that since most dielectrics used in practical transmission lines are fairly independent of frequency that VF is independent of frequency. The formula give by Silver is a simplification for distortionless lines, and a lossless line is a special case of a distortionless line, but it is not true for lossy lines in general. Most cable datasheets give a single figure for VF independent of frequency, further reinforcing the idea that it is independent of freqeuncy. A common model for the behaviour of the distributed resistance, inductance, conductance, and capacitance is described by the Telegrapher's Equation. For most practical coaxial cables at frequencies where skin effect is well developed, R is proportional to f^0.5, G is proportional to f, and L and C are independent of frequency. Measurement data and published cable specifications are a good fit to this model over the frequency range where the skin effect condition is satisfied. At lower frequencies, whilst G and C are probably unchanged, both R and L are higher than predicted by the higher frequency cable data (loss dataset and nominal Zo and VF). (Maguire 2011) in his program TLDetails and explanatory workbook T-Line Model.xls calculates RLGC in the transition region using Rdc in addition to the loss model mentioned above. The method attributed to H Johnson does not seem to take account for instance non-homogenous conductors, particularly with magnetic materials and stranding of same. TLDetails error is 4-9% over 1-100MHz, which questions Johnson's and Macquire's method, at least for this cable type. A closed form solution that properly deals with the range of centre conductor constructions and materials and shield constructions and materials used in practical cables would be very challenging. Without some assured method for predicting the change in R and L, a method that works in this case of stranded plated steel centre conductor, and in the more general case for the range of centre conductor constructions and materials and shield constructions and materials, one must resort to measurement. Measurement of VF is often taken as trivial, and the common technique is to find the lowest frequency at which the input impedance of a o/c stub is zero, and VF=PhysicalLength/(c0/f/4)=PhysicalLength/(299792458/f/4). For example, if X=0 at 49.47MHz for a 1m o/c stub, VF=0.660. That seems simple enough, but is it correct? This method assumes that the input reactance of a 90° long o/c stub is zero, and whilst that is true for distortionless lines (including a lossless line) it is not true in general and the error may be significant. If we assume for a moment that L is unchanged, we can calculate the effect of R on a 90° o/c stub at 1MHz. 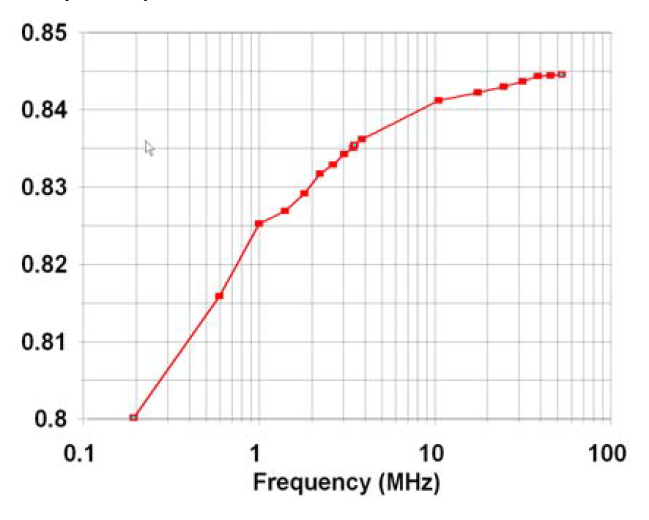 Fig 2 shows that the reactance at 1MHz (90° electrical length) is not zero but almost -4Ω. A small increase in L due to the extra flux resulting from the current reaching further into the interior of the centre conductor would result in X somewhat lower (ie more negative). (Brown 2011) explains a classic method of measuring VF. Q: Can I measure a long spool of coax as a stub to find its length? Fig 3 is Brown's plot of his measurement results certainly support the proposition that VF varies with frequency, particularly in the transition region. If his measurements depended on X=0 at all odd 90° length multiples, the small -ve X Zin component at 90° length multiples in the transition region would mean the frequency recorded would have been a little above that for the 90° length multiple, and so overestimate the reduction in VF, ie the reduction in VF at lower frequencies would well be somewhat less than plotted. Another method is to measure Zin for a line section with s/c and o/c termination over a range of frequencies and calculate the line parameters from Zoc(f) and Zsc(f). 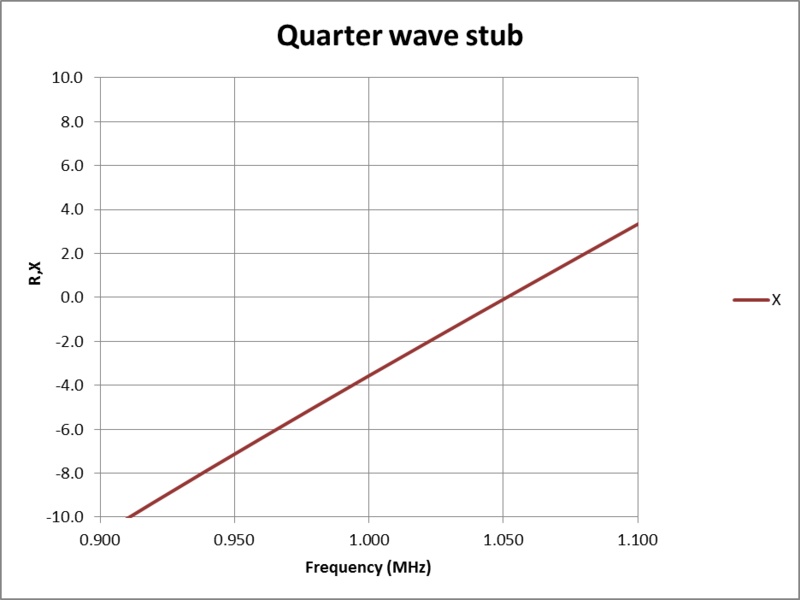 Measuring a nominal quarter wave section may not be trivial! Though a line section may be 90° electrical length, 90° phase delay of Vout/Vin and Iout/Iin occurs when the line is terminated in its (actual) characteristic impedance, which may be different to its nominal characteristic impedance. Few applications terminate the line section in its actual characteristic impedance. 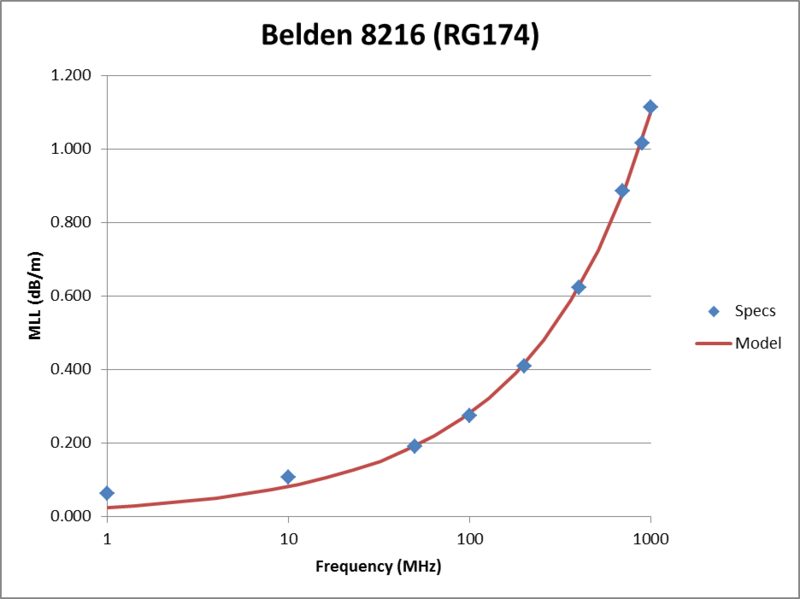 For example, using published specifications of Belden 8262 (RG58C/U), an electrical quarter wave at 1MHz terminated in a load of 50+j0Ω has Vout/Vin equal to 9.252e-1∠-87.5°, a phase error of -2.5°. Further, as shown in Fig 3, the input reactance of an o/c stub many not be zero at 90° electrical length, and as a consequence input impedance may not be a minimum at 90° electrical length. for practical transmission lines in the region where skin effect is well developed and dielectric loss is small, λ/4 stubs are lossier at lower frequencies. If the phase delay of output voltage or current over input voltage or current in a quarter wave line section is critical, measure the phase delay at the desired frequency with the applicable load and adjust physical length to obtain the required phase shift. At higher frequencies using low loss line, an o/c 90° electrical length stub will have input reactance very close to zero, and impedance very close to minimum, sufficiently close that error in the method will be masked by practical measurement error. Brown, Jim. Oct 2011 . Some Q&A about coax and stubs for your HF station. http://audiosystemsgroup.com/Coax-Stubs.pdf (accessed 13/09/12). Maquire, D. Mar 2011. TLDetails v2.0. http://ac6la.com/tldetails.html (accessed 13/09/12). Straw, Dean ed. 2007. The ARRL Antenna Book. 21st ed. Newington: ARRL.